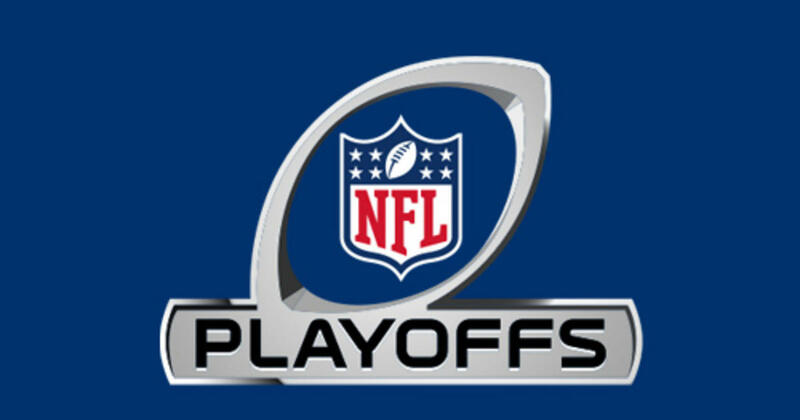 There are NO more games in the NFL Regular season and ALL the playoff berths have been CLINCHED. Perennial playoff teams like the Pats and the Steelers had already CLINCHED their spots going into Week 17, but there were still some spots LEFT to be CLINCHED today and we saw some LONG playoff droughts END with the Titans and the Bills. In this blog, I have a brief REVIEW of every single team and a brief PREVIEW of what the team needs to do in the Playoffs to WIN the Super Bowl SIX weeks from now. I will be making ANOTHER pick for my Super Bowl champion as my preseason pick, the Green Bay Packers did NOT even make the playoffs. The SIX playoff teams in the AFC are the Pats, the Steelers, the Jags, the Chiefs, the Titans, AND the Bills, while in the NFC the SIX teams are the Eagles, the Vikings, the Rams, the Saints, the Panthers AND the Falcons. Season Review- The Pats were the DEFENDING Super Bowl champions and despite a SLOW start for their standards, they END the season HOT and are the FAVORITES to WIN the Super Bowl. Quarterback Tom Brady is probably going to WIN the MVP award for the Regular Season and it would NOT shock me if he WINS the Super Bowl MVP award. In the playoffs, the Pats are a team that NOBODY wants to play. Playoffs Preview- The Pats were able to CLINCH the ONE seed in the AFC with a WIN over the Jets today and do not have to play a ROAD game till the Super Bowl. The Super Bowl is in Minnesota this year and I would EXPECT the stadium to be FILLED with Pats fans if they were to GET to the Super Bowl. The Pats will ALWAYS play the LOWEST remaining seed in the AFC and the ONLY team, in my opinion that has a CHANCE to beat the Pats, is the Steelers, who can ONLY play the Pats in the AFC Championship game. The road to Super Bowl number SIX for the CURRENT Pats’ DYNASTY has been set and I EXPECT them to ATLEAST get to the Super Bowl. Season Review- The Steelers ALWAYS have HIGH expectations because they arguably the BEST wide receiver in the NFL, Antonio Brown, the BEST running back in the NFL, in Le’Veon Bell, and a FUTURE Hall of Fame quarterback in Ben Roethlisberger. The Steelers were on a ROLL in the middle of the season and LED the AFC for the majority of the season until a last minute LOSS at HOME to the Pats in Week 15. The Steelers have the offense that can WIN a Super Bowl, but will their defense be able to STOP teams from beating them? That is the biggest QUESTION surrounding the Steelers going into the playoffs. Playoffs Preview- The Steelers have an EASY path to the AFC Chamionship game but they will need to TRAVEL to New England to beat the Pats to get to the Super Bowl. The Steelers have LOST to the Jags this season, so if the TWO teams face each other in the playoffs, it will NOT be an EASY WIN for the Steelers at HOME. If the Steelers are able to SURVIVE their divisional playoff game and SOMEHOW beat the Pats on the ROAD, then will be the FAVORITE in the Super Bowl against ANY NFC team. Season Review- The Jags were expected to be one of the WORST teams in football, but somehow got the THREE seed in the AFC playoffs. Their defense is a MAJOR reason why they have gotten to the playoffs, but quarterback Blake Bortles has done just ENOUGH to make sure that the team scores some points to WIN games. This season is already a SUCCESS for most Jags’ fans and they are playing on HOUSE money in the playoffs. Playoffs Preview- The Jags will be HOSTING the Bills on Sunday in a game that the Jags will be FAVORED in. The Jags have HARD times filling their stadium over the past FEW seasons, but that will not be the case on Sunday and the crowd will be ROWDY for their BELOVED Jags. With a WIN on Sunday, the Jags will travel to face the Steelers in the divisional round, a team they already have BEATEN on the ROAD this season. The Jags have the defense that can STOP Tom Brady, so maybe the Jags can get to the Super Bowl if their defense balls out and Bortles does not make stupid mistakes in the Playoffs. Season Review- The Chiefs started out at 5-0 with the BEST record in the NFL, but dropped the SIX of their next SEVEN games to get to 6-6 at one point in the season, they were able to WIN their last FOUR games to END the season on a HIGH note. The Chiefs have BEATEN the Pats in New England this season, which something that has not done by any other team in the AFC. Playoffs Preview- The Chiefs will be FAVORED on Saturday against the Titans and will have a chance to play the Pats AGAIN in the divisional round. Nobody knows what type of Chiefs team will show up in the playoffs, the one that STARTED the season, the one in the MIDDLE of the season, or the one that CLOSED out the season. The Chiefs are not a Super Bowl contender in my opinion but ANYTHING can happen in the NFL Playoffs. Season Review- The Titans CLOSED out the 2016 season on HIGH note, thus leading to HIGH expectations for them this season. The Titans were able to beat the Jags today and clinch a playoff berth and fulfill the expectations of MAKING the playoffs. The Titans do NOT have the roster that can WIN a Super Bowl, and I would be shocked if they make some noise in the playoffs. Playoffs Preview- The Titans will have to WIN in one of the TOUGHEST venues in football on Saturday and they do NOT have enough EXPERIENCE to do so. Quarterback Marcus Mariota has had troubles this season against good pass rushing teams and the Chiefs have one of the BEST pass rushes in the NFL. The Titans have OVERACHIEVED this season and they should use this season to get some experience to contend for the Super Bowl next season. Season Review- The Bills Mafia was going crazy to start the season and hoping the END the LONGEST playoff DROUGHT in the NFL, and they were able to do so by beating the Dolphins today. The Bills started out the season on FIRE, but had some issues in the MIDDLE of the season, but have made it to the playoffs and I am GENUINELY happy for all of Bills Mafia who has been SUFFERING for a LONG time. Playoffs Preview- The Bills have a CHANCE to beat the Jags next weekend, but they would have to play the Pats in the divisional round and they CANNOT beat the Pats. The Bills had a SURPRISE season this year and they will be the FAVORITE team for fans of all teams that did NOT make the playoffs, like myself, but I do NOT think they will even come CLOSE to going to the Super Bowl. Those were the SIX teams in the AFC, now onto the NFC for the other SIX teams in the NFL Playoffs. Season Review- The Eagles had the BEST record in the NFL going into Week 14 of the NFL season and were the Super Bowl FAVORITE, but things have CHANGED since. The Eagles LOST their MVP candidate quarterback Carson Wentz for the season and have NOT looked good in his ABSENCE. Nobody thinks the Eagles can get to the Super Bowl, despite having the BEST record in the NFC. Playoffs Preview- The Eagles will play the LOWEST remaining seed in the NFC and they will be the UNDERDOG in the divisional round. Nick Foles, who came in to REPLACE Wentz has really STRUGGLED this season and I do not think he will be able to take this team to the Super Bowl. The Eagles had a lot of PROMISE for this season but that all went AWAY when the ACL in the right leg of Wentz was TORN. Season Review- The Vikings have had a playoff roster for a COUPLE of seasons now, but were MISSING their quarterback Teddy Bridgewater, who did NOT play a NFL game for TWENTY months due to a leg INJURY. The Vikings were able to get back Bridgewater this season but did not NEED him thanks to their defense and quarterback Case Keenum, who will be starting for the Vikings in the playoffs. The Super Bowl is in the Vikings’ HOME stadium this year, can they become the first team to have a HOME game in the Super Bowl? Playoffs Preview- The Vikings will most likely play the Rams at HOME in the divisional round, a team they have ALREADY beaten this season. Despite being the TWO seed in the NFC, they are the BEST team in the conference in my opinion and have a chance to get the Super Bowl. The biggest UNCERTAINTY around the Vikings is Keenum and if he will continue the GREAT season that he had in the regular season or return to his old MEDIOCRE self in the playoffs. Season Review- The Rams were NOT expected to make the playoffs this season, but they found an offensive GENUIS in rookie head coach, Sean McVay, who is only THIRTY years old. McVay has helped second year quarterback Jared Goff a lot this season and along with running back Todd Gurley, the Rams have the HIGHEST scoring offense in the NFL. The Rams also have ONE of the best defenses in the NFL, so it would not SHOCK me if they got to the Super Bowl. Playoffs Preview- The Rams will play the Falcons in the Wild Card Round, it will be interesting to see who the bookmakers in Vegas consider the FAVORITE in that game. Despite being the SIX seed in the NFC, the Falcons are the defending NFC Champions so the Rams should not take them LIGHTLY. The Rams have the roster to COMPETE in the NFC, but will their YOUNG roster come back to HURT them in the CLUTCH stages of the NFL Playoffs? Season Review- The Saints started out the season at 0-2, but WON NINE straight games to jump to 9-2 at one point of the season. The Saints are led by future Hall of Fame quarterback Drew Brees, and Rookie of the Year candidate running back Alvin Kamara, who is one of the BEST offensive players in the NFL. The Saints have ALWAYS had a GOOD offense, but this year they had a GOOD defense also and made the playoffs as RESULT. Playoffs Preview- The Saints will face the Panthers on Sunday, a team they have beaten TWICE this season. The Panthers have played POOR in their last FEW games, so the Saints will be FAVORED in that game. The Saints may have to play a game in Philadelphia IF they want to get to the Super Bowl, will they be able to WIN a game in the COLD weather or they need to play all their games in a ROOF in either New Orleans or Minnesota. Season Review- The Panthers were MATCHING the Saints in WINS throughout the season but could NOT beat them in their TWO meetings which is why they will have to TRAVEL to New Orleans on Sunday. The Panthers went to the Super Bowl TWO years ago, so they have the roster to get there AGAIN, but will they SHAKE OFF the POOR performance from the last FEW weeks. Playoffs Preview- IF the Panthers beat the Saints on Sunday, they would have to go to Philadelphia for the divisional round. Despite being the FIVE seed in the NFC, if the Panthers were to play the Eagles, they would be FAVORED in that games. The Panthers have ALREADY beaten the Vikings this season, so IF they can find a way to get past the Saints then they will be in BUSINESS in the NFC. Season Review- The Falcons CHOKED away last year’s Super Bowl and that had some EFFECT on their performance this season. The Falcons’ offense never looked like it was in FULL motion and they looked LOST at times. Despite the offense NOT living up to the HIGH expectations, they made the playoffs and have a chance to get to the Super Bowl for the SECOND season in a row. Playoffs Preview- The Falcons will NOT have a HOME game in the playoffs, but it would NOT be a SHOCKER if they got the NFC Championship game. The Falcons have MORE playoff EXPERIENCE than the Rams and are more TALENTED than the Eagles, so they can WIN against those TWO teams. If the Falcons continue to have POOR performance like they had for the majority of the Playoffs, then they are going to be TOAST on Saturday night. That was a look at all TWELVE teams that made the NFL Playoffs. As promised earlier, I will make a NEW Super Bowl Pick and it is the Pats over the Vikings going into the Playoffs. I picked the Pats for only ONE reason and that is the #AviMehtaCURSE. I will have my picks for Wild Card weekend, releasing either Thursday or Friday so be on the lookout for that. Until then Happy New Year to the HANDFUL of people that will read this blog.